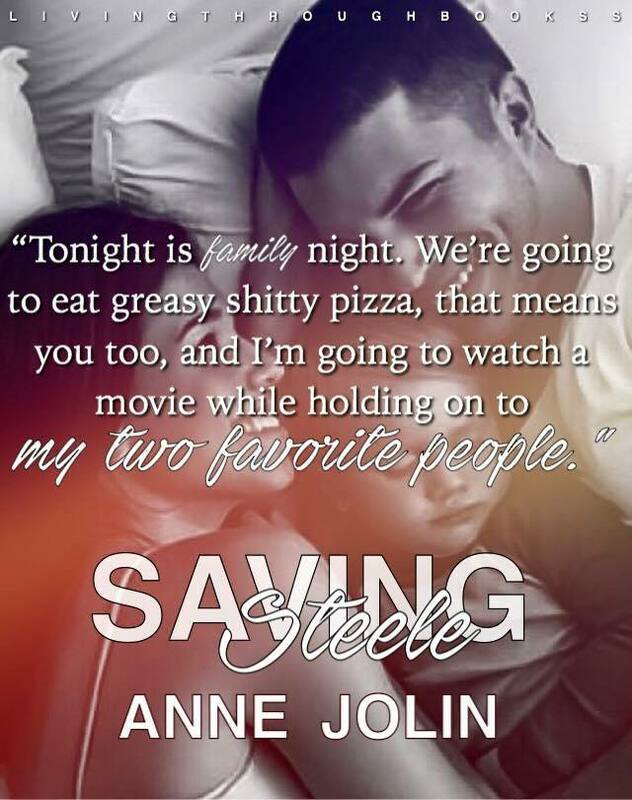 What happens when circumstances of life threaten the one thing both Jackson and Kennedy love? Saving Steele from himself may prove to be too much for Cross to bear. 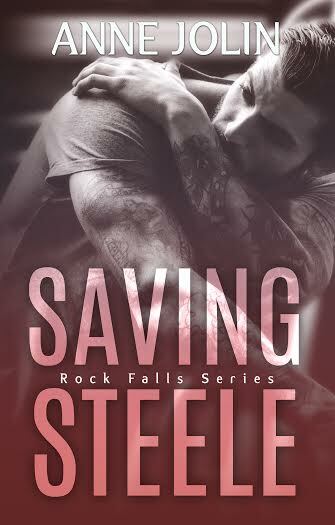 THE ROCK FALLS SERIES IS BACK!! 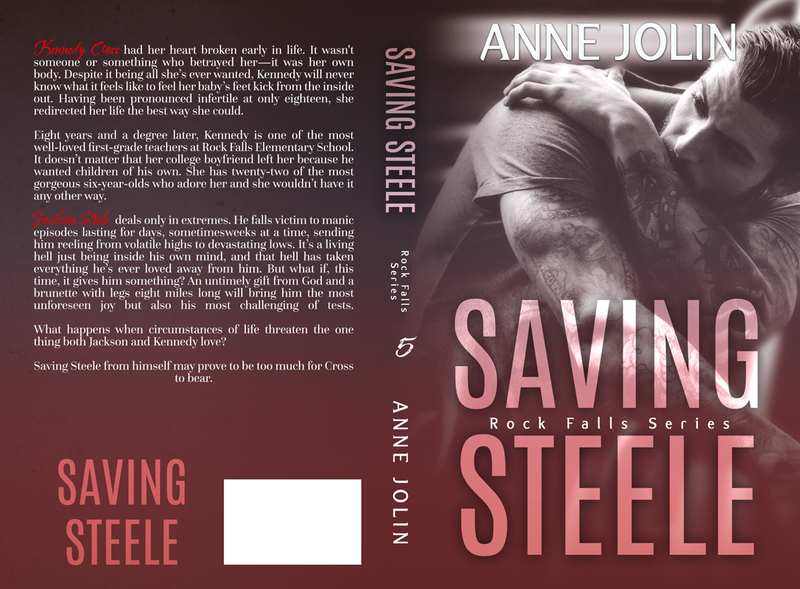 The 5th installment, SAVING STEELE, is now available for purchase! Kennedy Cross had her heart broken early in life. It wasn't someone or something who betrayed her—it was her own body. Despite it being all she’s ever wanted, Kennedy will never know what it feels like to feel her baby’s feet kick from the inside out. Having been pronounced infertile at only eighteen, she redirected her life the best way she could. Jackson Steele deals only in extremes. He falls victim to manic episodes lasting for days, sometimes weeks at a time, sending him reeling from volatile highs to devastating lows. It’s a living hell just being inside his own mind, and that hell has taken everything he’s ever loved away from him. But what if, this time, it gives him something? An untimely gift from God and a brunette with legs eight miles long will bring him the most unforeseen joy but also his most challenging of tests. I’d totally become a yes girl where hot guy, dad to mini hot guy, Jackson Steele was concerned. So that brings me to now, turning off my ignition and willing my body to move from the safety of my driver’s seat and up to his front door. It’s okay though. I’ve come prepared. I’d written a list of things not to do when I arrived at the house on a yellow Post-it note. Putting force behind the fist I’d raised to knock on the door I immediately begin to fall forward as the offending panel of wood swings inward and I face plant directly into a hard male chest. Rats! There goes rule number three and quickly too. Mmm. But he sure smells nice. “Easy, babe,” his voice is a deep manly chuckle, large hands settling on my waist. I feel that “babe,” that chuckle and that contact in all the right places, even a tingle or two in some wrong ones if I’m being honest. Considering I’m relatively close to the brink of insanity this morning, it isn’t all that surprising that in that second, instead of pulling away, I take the opportunity to tilt my head back and look at him, really look at him, for the second time since we’d met. Should have added a sixth rule. Don’t look at him either. I was born and raised in Ladner, a small farm town just outside Vancouver, Canada. I grew up riding horses, shooting guns, and driving in trucks. I never expected to be an author. A massage therapist? Yes. Take over the family construction company? Yes. But an author? No. Writing was something that snuck up on me and rooted itself into my life. It was beautiful to discover that love, and I’m truly grateful to say I’ve found my passion. Since I’ve always been a creative person, it feels amazing to harness all of that energy and use it to tell a story I love. I enjoy incorporating bits of my real life into the stories I write. What parts are true? Hah. I’ll never tell—what would be the fun in that?